An American brand based in Pennsylvania, Tract Optics was founded by Jon LaCorte and Jon Allen who between them had over 40 years worth of experience in the optics industry before combining forces to set up Tract Optics. As both founders stress in their story above, one of the key philosophies of Tract Optics is to reduce the amount of steps taken between the manufacturing of the instrument to getting it to the customer. Thus by cutting out the middle men, Tract Optics believe that they can spend more time on what their customers want and need, with the aim of giving you a better product, with better service and at a better price. As well as binoculars, Tract Optics offer a wide selection of rifle scopes and accessories that include a binocular harness and carry case. With just two ranges currently on offer, both of which are manufactured in Japan the focus of Tract Optics is also most certainly on quality over quantity. However this is not at all a bad thing as I feel it is far better to have a clear focus and concentrate on doing that well rather than spreading yourself too thinly on the ground and dropping standards. I also noticed in my research that Tract also highlight many times in their marketing that they produce binoculars for hunting, however I do feel that this restricts and pigeonholes themselves somewhat, because if you take a look at the features and stats below these bins would be equally attractive to many other users and uses, including birders, general wildlife observation and in many cases great general use bins. Other highlights include a fully water and fog proof magnesium chassis that is tripod adaptable and has twist-up eyecups with multi-position fixed stops. 8x42 377ft 19mm 8.2ft 26.4oz 6x5"
10x42 341ft 17mm 8.2ft 27.2oz 6x5"
Extremely high quality binoculars at what look to be a very competitive price when compared to many of the top European brands. 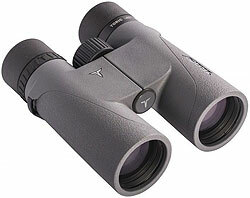 At the time of writing, I found these available on Amazon for approx $660 / £760 (price varies depending on the magnification). 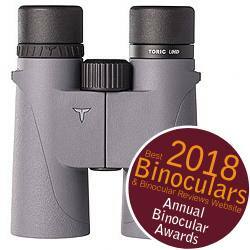 Very similar in design and indeed the high level of components and coatings used in their Toric series, the Tract Tekoa binoculars will appeal to those still demanding a very high level of performance, yet who are on a tighter budget. A structural difference between the Toric and these Tekoa's is that they are built around a Fiberglass reinforced polycarbonate chassis and not a Magnesium one. Obviously this is cheaper to produce and not quite as robust, but it does have the advantage of being more lightweight. This chassis is still fully o-ring sealed and thus waterproof with a IPX7 rating (3ft for 30min). Argon gas is also added to the interior, replacing the air to protect the lenses from fogging. 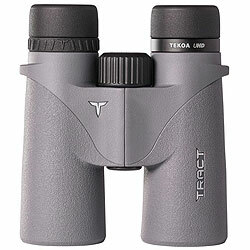 Another difference between the two is that the Tekoa binoculars also lack the enhanced (larger) ocular size of the Toric's. 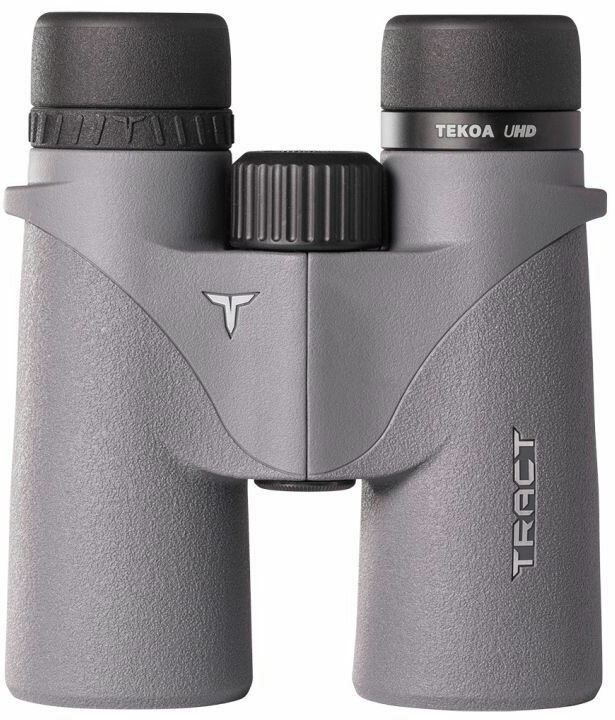 Currently retailing for around $460 (price varies depending on the magnification), the Tract Tekoa sits comfortably within my mid-high range of optics and with all their extremely high end features, once again look to be a more than solid choice. 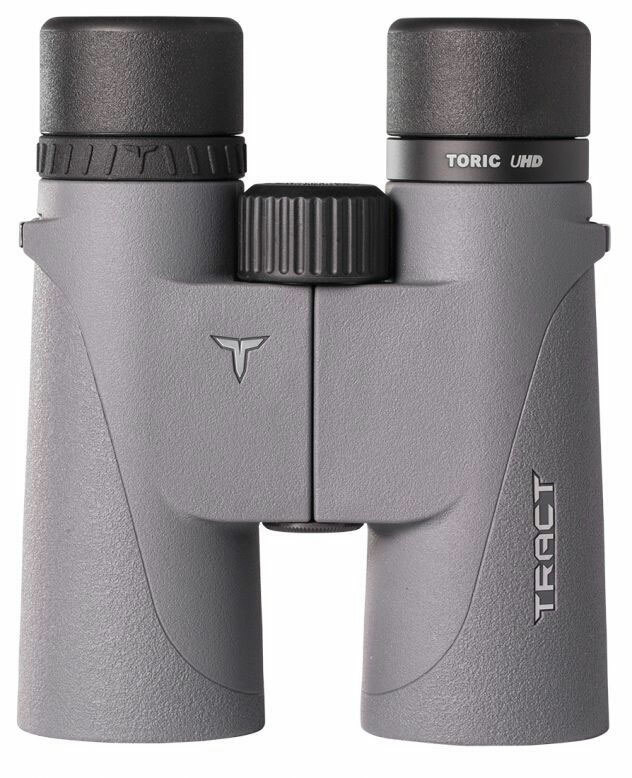 Below are my full Tract Optics binocular reviews: View >> All the Tract Binoculars that I have reviewed.